Fota Island Spa features a full Fitness Suite, an indoor Swimming Pool and a superb Hydrotherapy Suite, home to Ireland's only Walking River, which is renowned for its assistance in healing sports and fatigue related injuries. With 18 spacious treatment rooms offering over sixty treatments, Fota Island Spa is rightly regarded as one of Ireland's finest and best equipped spas. Enjoy two nights' bed and breakfast and a three course meal in Fota Restaurant on one evening of your stay. 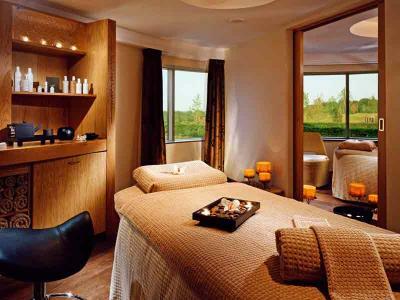 Choose from either a facial or a massage in Fota Island Spa to complete your relaxing stay.